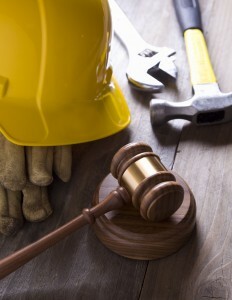 Are You in Need of Construction Litigation? In a perfect world, every last commercial and residential building constructed would be perfectly designed and flawlessly executed. Buildings would stand for hundreds of years, with nary a foundation issue or ceiling crack or crooked window to speak of. But this is the real world, and construction defects happen. They’re so common in the construction industry, in fact, that four separate construction defect categories have been created, into which every conceivable type of building issue can be placed. What are the Various Types of Construction Defects? There are design issues (professional errors by engineers or architects); project or material deficiencies (the use of inappropriate or low-quality materials); workmanship issues (errors in wiring, plumbing, or other major systems); and subsurface problems (settling issues or foundation cracks). There’s no doubt that being the owner of a residence or commercial property with serious construction defects can lead to some seriously stressful situations. Unfortunately, without an experienced construction attorney in Bucks County on your side, the issues you’re dealing with are very unlikely to disappear or resolve themselves anytime soon.